I am pretty exited that we sold out the regular free tickets for the Eclipse Demo Camp @ Siemens (in Munich, Germany)! There are only a few reserved tickets left for Siemens employees. Currently we have 174 registered attendees. Since the regular tickets (ticket type: Registration) are sold out, please contact me if you have such a ticket and cannot attend the event. Then I could cancel your ticket and give another person the chance to attend! The JAX conference is over and I liked it a lot! Many thanks to all the attendees of my sessions and tutorials for the feedback and the great discussions. Here are the slides from my sessions about Eclipse 4.x and OSGi/Vaadin. You can download the PDFs directly from slideshare. I am happy to announce the Eclipse Demo Camp @ Siemens in Munich, Germany. 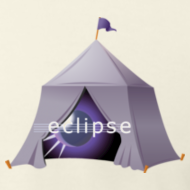 Excellent speakers with interesting demos/talks will make this demo camp an Eclipse fest! The latest event details and agenda you always find at the Wiki page. At democampmunich.eventbrite.com you find the current list of attendees and you can register. Registration is free: beer, soft drinks and (warm) food is sponsored by Siemens AG and EclipseSource! Let’s make this demo camp great! 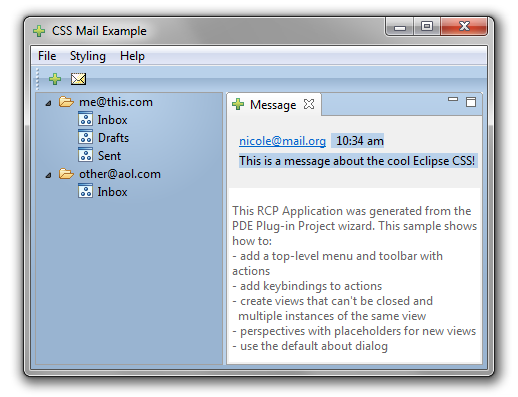 The screen shot below shows our beloved RCP Mail demo with a bit of CSS styling. How to do this, you find in the above “Style It!” slides. The screen shot below shows our beloved RCP Mail demo with a bit of CSS styling. 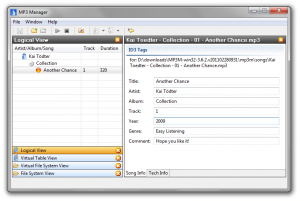 Yesterday I released version 3.6.2 of my Eclipse RCP demo “MP3 Manager”. You find all information at the project page. What’s new in version 3.6.2? You can download the latest sources and the win32 binaries (including a demo song played by myself) here. The Tycho based build results for win32 and Linux (not including demo songs) you find here. As soon as Tycho support rootfiles in features (planned for version 0.11.0 of Tycho) I will also include the demo songs in the Tycho build. 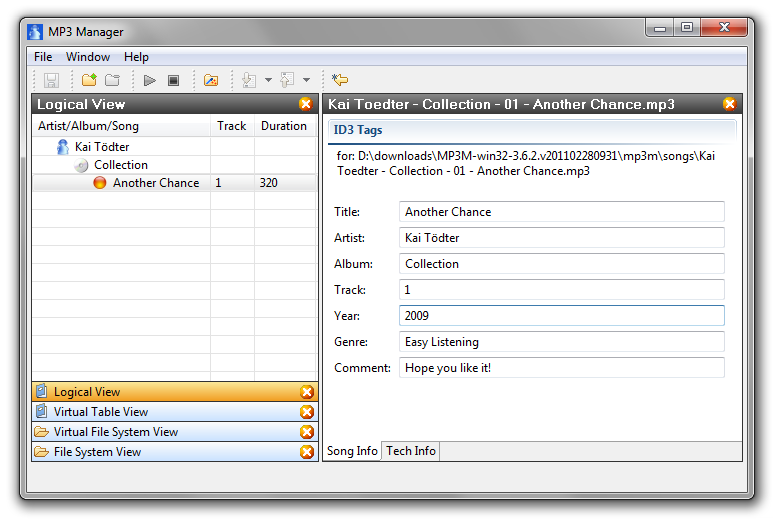 Since MP3 Manager is a demo, I plan to support both PDE builds and Tycho builds in the future. In the next months I am going to give some Eclipse e4 related tutorials and sessions on the following conferences: EclipseCon 2011 in Santa Clara (USA) and JAX 2011 in Mainz (Germany). I am looking forward to attending both conferences, they are always inspiring and fun. 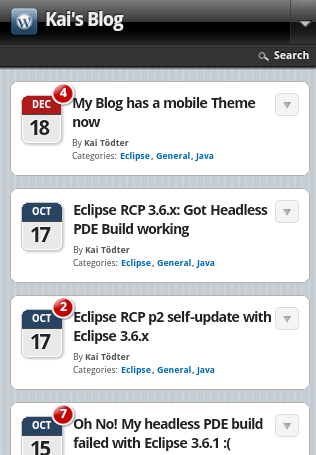 Was ist neu bei der Eclipse Rich Client Platform 4.0? At JAX, I am also planing to give a session about “Dynamic Web Applications with Equinox and Vaadin“. If you plan to attend any the above sessions, I would be happy if you join me afterwards for a chat. 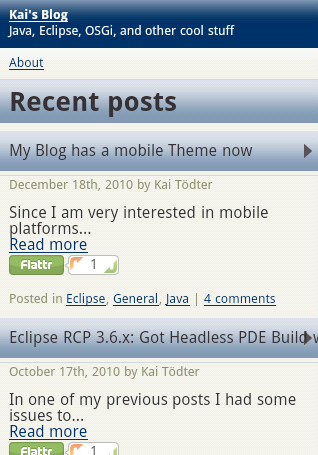 Please give me feedback how my blog looks on your mobile device. On my Android based N1 it looks and behaves quite good, but I have no idea how it does on other devices. In one of my previous posts I had some issues to get the headless 3.6.x PDE build running for a few of my RCP projects. But I quickly got many very helpful comments and now I have the build up and running on Windows Vista/7. I have to admit that the tricks I describe below considered to be hacks rather than a clean solution, but on the other hand it works at least for my RCP applications. Usually I create my target platforms just by unzipping an Eclipse SDK and the corresponding delta pack. 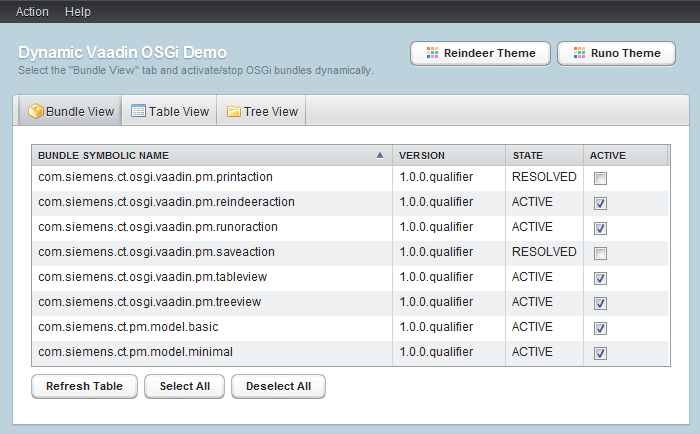 But this did not work with 3.6.x, as described in my previous post about PDE build. I got lots of unresolved dependencies. The trick to get rid of many of them is to delete everything from the target platform except the plugins and features directory. 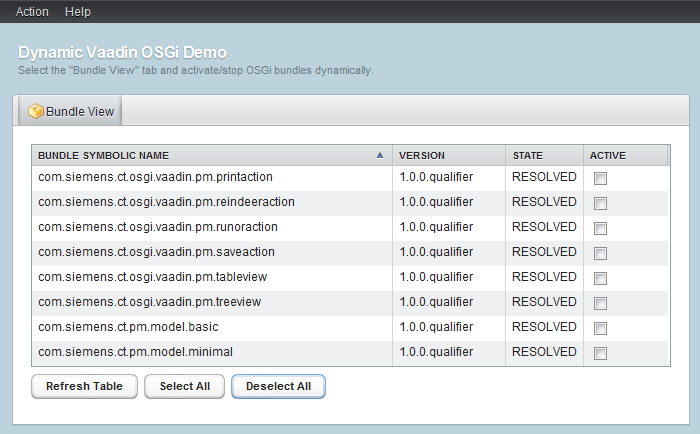 If your RCP application is not using p2 related stuff, then there is a good chance that the build will succeed. In my RCP applications I include the feature org.eclipse.equinox.p2.user.ui in my product configurations, that leads to an unresolved dependency to org.eclipse.compare. If you see the same in your build, then trick 2 might help. If your RCP application just uses p2 for self-updating, then you probably don’t need a dependency to org.eclipse.compare. How to remove it manually I described in my blog post “Eclipse RCP p2 self-update with Eclipse 3.6.x“. With above modifications I got the build running again. Please let me know, if these tricks work on other platforms, too. I explicitly want to thank Alexander, Albert MacSweeny and Frode for their helpful comments in my previous post about PDE build.